You might label this headline as a matter of course, but it is not as easy as that. Although talk about new stadiums with an increased level of connectivity has been steady, there are only a few working examples. Even for some Telco companies the problem of allowing 40,000 people go online during half-time has proven to be too difficult. On the other hand, the clubs are still looking for a business model to offer their fans new digital services. The Medienlotse gives an overview of recent developments in Germany and the Bundesliga. Network operators are keen to sell the much faster LTE standard to their mobile users. Sooner or later those want to experience the fast internet everywhere – including tricky indoor venues and sport stadiums. Most clubs are relaxed, because it will be the duty of the operators to do the investments. In fact, this would mean that only some fans could use the LTE service in their home ground for free – if they have chosen the right operator. All other supporters would have to pay. Bayern Munich is the only club having already implemented LTE (+ Wi-Fi) in their arena. 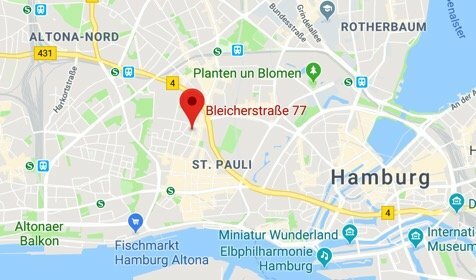 All other clubs are keenly looking towards Leverkusen, where CISCO and Deutsche Telekom want to present their new Wi-Fi stadium to the public after the winter break of the Bundesliga. It is rumored, that the project is behind schedule and that the Bayer fans might have to wait a bit longer. In comparison, the question of cost is unsettled. Unlike LTE, which is a necessity for the business plans of the operators, Wi-Fi is only a voluntarily service by the club to the fans and needs to be paid by the club. Leverkusen wants to refinance their Wi-Fi enterprise with new services, but hasn’t come up with any innovative ideas (see also: Bundesliga wird digital). Indoor venues like the SAP Arena in Mannheim has just started offering a free Wi-Fi service to all their concert and sports guests. 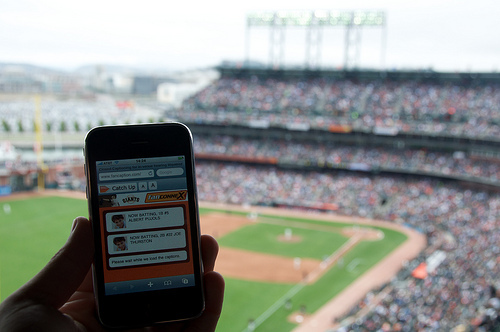 Sport fans are among the most passionate, when it comes to adopting new technologies. German football fans might be a bit different. Most of them would think that they are here to watch the game and support their club. Game days follow a strict entertainment programme organized by the clubs and only in cooperation new digital services will be used by the fans. Live-apps like the “Heineken Star Player” are too distracting and drain the batteries very fast. But what do fans really want? To answer this question we have to consider different dimensions. Some fans want to share videos or pics of meeting with their friends or celebrating goals and the atmosphere. Others are looking for additional information like: “Who’s the fastest player on the pitch? How many passes has the left-back completed?” and so on. Another group wants to record every highlight of their stadium experience and push a button on the club’s app to save the recent tiki-taka move to the video archive. The earliest innovation will probably happen within “Food & Beverages” – apps will help us to order sandwiches and inform us about the length of the queue in front of the fan shop.